The Middle East and North Africa (MENA) have been attracting many international investors for decades, but the current geopolitical situation has not shown a welcoming face towards foreign investors. Consequences of war, terror and political changes in the region have forced many international companies to reconsider their plans or withdraw their investments. On the other hand, there are companies that have faith in investing in the emerging market of the MENA with fewer competitors. It must be mentioned that narrowing down the best possible decision needs research on the current situation as well as analyzing and forecasting of the upcoming situations in terms of many factors within the country concerned and the region. The Multi-Criteria Decision Making (MCDM) analysis helps investors to choose the best alternative from a set of relevant criteria. In this paper, one of the well-known MCDM methods, TOPSIS, was used to rank twenty-three countries based on twenty key indicators within the years 2000-2015. The outcome of these findings provides a set of country rankings for an interested group of decision makers, policy makers, stakeholders, and other involved parties based on their interest in the MENA region in the so-called Arab Spring and post-Arab Spring environment. Abdullah, L. (2013). Fuzzy multi criteria decision making and its applications: A brief review of category. Procedia-Social and Behavioral Sciences, 97, 131-136. Akbaş, H., & Bilgen, B. (2017). An integrated fuzzy QFD and TOPSIS methodology for choosing the ideal gas fuel at WWTPs. Energy, 125, 484-497. Bilbao-Terol, A., Arenas-Parra, M., Cañal-Fernández, V., & Antomil-Ibias, J. (2014). Using TOPSIS for assessing the sustainability of government bond funds. Omega, 49, 1-17. Hwang, C. L., & Masud, A. S. M. (2012). Multiple objective decision making—methods and applications: a state-of-the-art survey (Vol. 164). Springer Science & Business Media. Özcan, E. C., Ünlüsoy, S., & Eren, T. (2017). A combined goal programming–AHP approach supported with TOPSIS for maintenance strategy selection in hydroelectric power plants. Renewable and Sustainable Energy Reviews, 78, 1410-1423. Ervural, B. C., Zaim, S., Demirel, O. F., Aydin, Z., & Delen, D. (2017). An ANP and fuzzy TOPSIS-based SWOT analysis for Turkey’s energy planning. Renewable and Sustainable Energy Reviews. Gul, M., Celik, E., Aydin, N., Gumus, A. T., & Guneri, A. F. (2016). A state of the art literature review of VIKOR and its fuzzy extensions on applications. Applied Soft Computing, 46, 60-89. Kumar, A., Sah, B., Singh, A. R., Deng, Y., He, X., Kumar, P., & Bansal, R. C. (2017). A review of multi criteria decision making (MCDM) towards sustainable renewable energy development. Renewable and Sustainable Energy Reviews, 69, 596-609. Majumder, M. (2015). Multi criteria decision making. In Impact of urbanization on water shortage in face of climatic aberrations (pp. 35-47). Springer, Singapore. Mandic, K., Delibasic, B., Knezevic, S., & Benkovic, S. (2014). Analysis of the financial parameters of Serbian banks through the application of the fuzzy AHP and TOPSIS methods. Economic Modelling, 43, 30-37. Othman, M. K., Fadzil, M. N., & Rahman, N. S. F. A. (2015). The Malaysian Seafarers Psychological Distraction Assessment Using a TOPSIS Method. International Journal of e-Navigation and Maritime Economy, 3, 40-50. Radmehr, A., & Araghinejad, S. (2015). Flood vulnerability analysis by fuzzy spatial multi criteria decision making. Water resources management, 29(12), 4427-4445. Roszkowska, E. (2013). Rank ordering criteria weighting methods–a comparative overview. Sánchez-Lozano, J. M., García-Cascales, M. S., & Lamata, M. T. (2016). Comparative TOPSIS-ELECTRE TRI methods for optimal sites for photovoltaic solar farms. Case study in Spain. Journal of Cleaner Production, 127, 387-398. 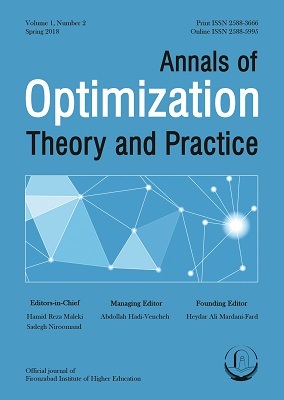 Torlak, G., Sevkli, M., Sanal, M., & Zaim, S. (2011). Analyzing business competition by using fuzzy TOPSIS method: An example of Turkish domestic airline industry. Expert Systems with Applications, 38(4), 3396-3406. Yan, X. P., Wan, C. P., Zhang, D., & Yang, Z. L. (2017). Safety management of waterway congestions under dynamic risk conditions—A case study of the Yangtze River. Applied Soft Computing, 59, 115-128.